The Tokyo Gaijin Rugby Football Club is an international rugby team in Tokyo consisting of amateur players. Truly a diverse and transient club, the majority of club members are expats from the Northern and Southern Hemisphere with roughly a third being made up of Japanese nationals. 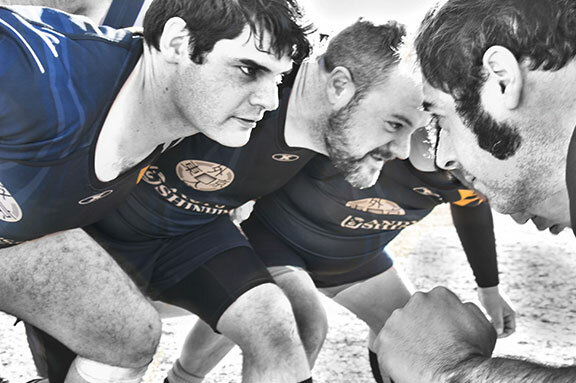 Prominent within the Tokyo rugby-playing community, TGRFC takes part in various competitions both at home and abroad. If not playing competitive matches, the club trains regularly, play friendly matches and organize a number of social events throughout the year. 2011 marked TGRFC's 20th anniversary and also turned out to be one of the most successful seasons in club history in terms of match results. Though it wasn't reflected in silverware, 2012 also saw TGRFC field a powerful team which led to many comprehensive victories and standout individual displays. This year, the club will strive to continue enjoying more success both on and off the field. As Chairman of the Tokyo Gaijin Rugby Football Club, I would like to welcome you to the website of our rugby club. We have a proud tradition, which commenced in 1991, and continues to flourish, as a dominant force in the Tokyo Rugby scene. Last season saw the club reaching new levels of development with our team making it to the final of the Tokyo Cup, winning the Shield in Manila 10’s, and winning Cup Winners’ Cup 2 years in-a-row. This is a great testament to our squad and management, for all the very hard work put in during the season. During the season ahead, we will witness a number of changes and we will face new challenges as we try and build on those achievements. To our Club Captain and our squad, as well as the Management Team, I extend my best wishes for another very successful season ahead. I would like to offer words of thanks to our sponsor, Andy Shinhinamoto. This year, we have exciting projects which need funding and we always welcome sponsorship from companies who are aligned to our ethos and goals. If you feel your company could partner with us, let us know by contacting us. Also, I would like to thank all those unsung heroes of the club who give their time and services freely to our cause, be it, taping up our ailing players or running on water for the team. These acts of solidarity and commitment allow us to grow and develop. Our ambition this season is to develop a winning culture; we aspire to win every competition we compete in this year, our ethos is to compete and win all the while living our mission for inclusion and fun. Training, led by our head coach Warren Adamson, is very much inclusive, irrespective of skill level on a Sunday and we welcome new players interested in joining the club, or recommencing their rugby playing careers. If you would like more information about our club, and would like one of the club committee to contact you, please feel free contact us and we will be in touch. We are always happy to welcome new members into the Gaijin family. So, come join us and find out why we are such a special club. Have a great and satisfying season everyone and ‘GO YOU GOOD THING’!